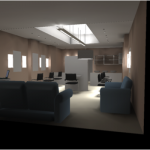 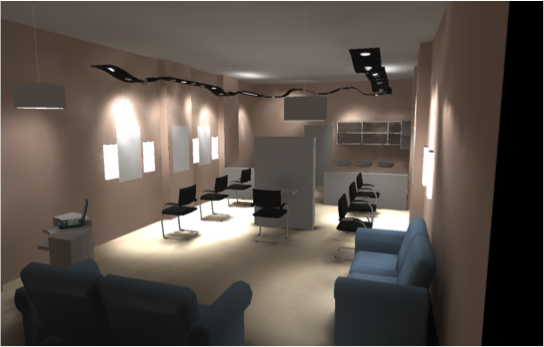 This project is for a hairdressing salon, the challenges were to make the space inviting and with a sense of being light and airy. 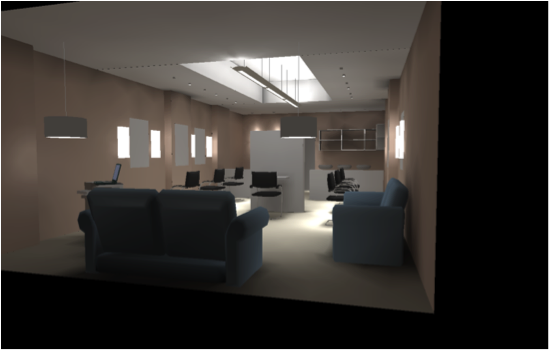 Two concepts were proposed, one with a central light well that could colour change depending on outside conditions, this could enhance or contrast from the general conditions outside to improve a persons mood when entering the salon. 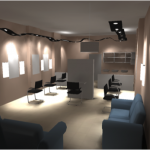 Challenges also existed to ensure good colour accuracy of the lighting when colouring, also ensuring good modelling of the subject about to have their hair cut.